Some people have spent thousands upon thousands of dollars for the privilege of playing Star Citizen early. Suckers. You? You get to try it for free, this entire week. Presumably because Chris Roberts and Co. hope to convince you to spend thousands upon thousands of dollars. Drug dealer rules, you know? The first hit is free. If you don’t speak Star Citizenese, Alpha 2.1.2 is the less-fancy name for “Crusader,” or Star Citizen’s hub world. 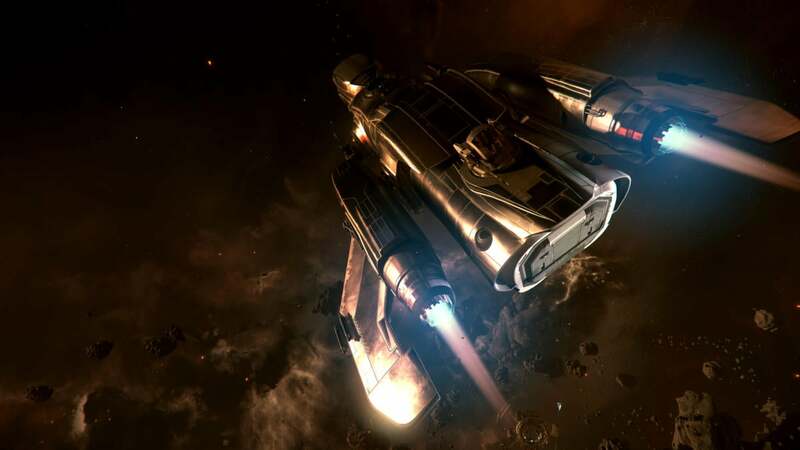 “Featuring multiple space stations and environments, scripted missions, places to explore and more, Alpha 2.1.2 is your first look at a much larger universe.” In other words, this free week could be your first look at Star Citizen proper. It also includes two of the smaller side-modules though—the Arena Commander dogfighting piece (or “game-within-a-game” as it’s termed on Star Citizen’s site) and the pretty self-explanatory Social Module. All you need is a Star Citizen account to check it out, which you can register for here. The Free Fly event runs from now until Friday, February 5.